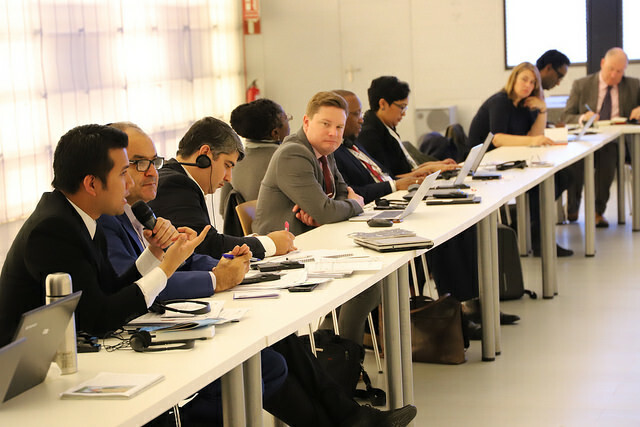 The 2018 UCLG World Council held in Madrid, in the framework of the World Forum on Urban Violence and Education for Coexistence and Peace, witnessed vibrating political debates among the World Organization that helped shape our priorities for the years to come. Local democracy and decentralization, and our Strategies on Local Finance and Gender Equality are pillars for our work, and key to empower local governments and their communities. Previous decades -and, in particular, the 1980s- saw a boost in decentralization and yet, in the present day, we are witnessing regressive scenarios in regards to the funding that local governments need. The dissonance between the competences that cities have acquired and the resources they have has led to a lack of trust and even frustration with local governments, and assessing how to face this reality is critical to renew the local social contract. 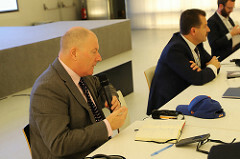 Decentralization and Local Democracy are at the core of the World Organization of United Cities and Local Governments, and the network held a Political Debate on the needs and competences of local governments as a way to return to these priorities and to assess both the state of local democracy and decentralization, to evaluate where the organization stands on these issues, and to support the development of the priorities of the World Organization towards the World Congress in 2019. “The promotion of local democracy is behind the creation of our movement. Knowing that they weren’t able to face all of the challenges on their own, they were convinced that a strong local governance was essential to fully rise up to these challenges. 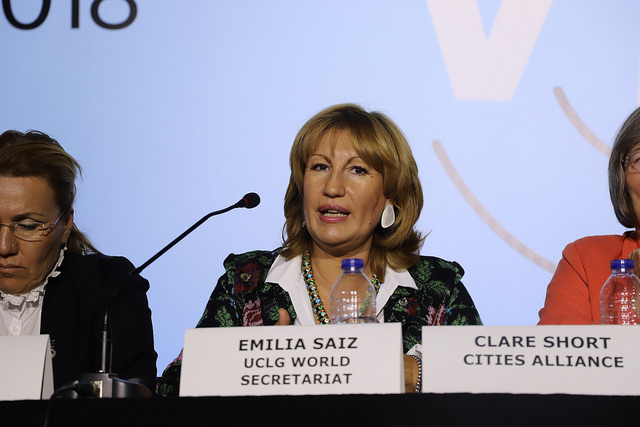 We need to assess where we are now, and what it takes to recover the trust of citizens and renew our democratic mandate.” Emilia Saiz, Secretary General of UCLG . “The challenge lies in meeting the demand of our communities. We must avoid widening inequalities between communities, and hold democratic accountability. We have to prioritize local democracy”. 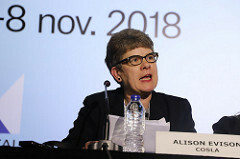 Alison Evison, President of the Convention of Scottish Local Authorities (COSLA). The debate saw the participation of Clare Short, President of the Board of Cities Alliance, who highlighted the need to identify those policies that need to be boosted at the local level in order to strengthen accountability and mobilize resources; Sibel Uyar, Mayor of Urla, who identified the lack of clarity on the political mandates of local governments, and the shortness of resources as the key challenges to build sustainable local governments; Rocío Molina Councillor of Cochabamba, who called for capacity building for local government officials ni order to reduce inequalities among communities; Tri Rishmaharini, Mayor of Surabaya and President of UCLG-ASPAC, who highlighted the need to consider communities as allies of local governments for policy development and implementation; and Alison Evison, president of the Convention of Scottish Local Authorities (COSLA). Considered a policy priority for the World Organization the World Council greenlit the First Draft of an All-UCLG Gender Strategy, a political and institutional pillar of the organization, with devoted budget for its implementation. The session gathered representatives (both men and women) from all the regional sections and, as a part of the Gender Strategy, aimed to contribute to the transformation of the Organization inregards to gender. “Gender perspective is taking into account gender in all spheres of life. It is important to consider how institutions are gendered and how can this affect implementation of public policies”. 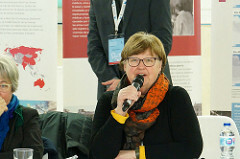 Sibel Uyar, Mayor of Urla. “It is key to involve everyone, including non-formal women leaders, in order to improve the environment not just for women, but for our communities. 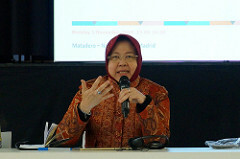 As first woman mayor of Surabaya, I have placed women at the front of our priorities and our agenda.” Tri Rishmaharini, mayor of Surabaya. 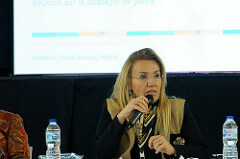 The Gender Strategy Session served as a way to foster commitments around the various regions to empower women and foster their political participation -including in UCLG’s organisms, where the organization is pushing to fulfill a quota of at least 30% women participation in its organisms-. The Gender Strategy will continue to be further defined and implemented during the following year. 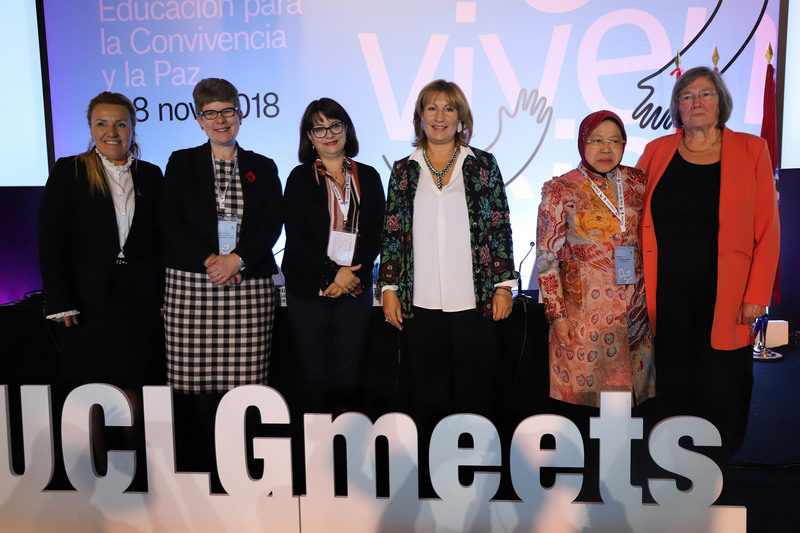 Members of the UCLG Standing Committee on Gender Equality emphasized the need to ensure that the gender quotas agreed upon during the electoral process, aiming at a 30% of women throughout the organization, were met. UCLG has been laying the grounds during the year for a Strategy on Localizing Finance, to ensure that local and regional governments have access to funding. 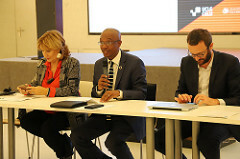 The UCLG World Council saw the first meeting of the newly created Community of Practice on Localizing Finance, a UCLG exchange mechanism facilitated by FMDV, which is being integrated within the UCLG Family. The Community of Practice discussed the work towards the development of a Municipal Development Fund, together with UNDF, a tool for local and regional governments which will enable local and regional governments to access the funding they need for their projects, and even open them up for to access finance markets. “The type of finance available for LGs is often not suitable for municipal types of investment. This is the problem that the fund will address. We need to structure finance to meet the needs of local governments.” David Jackson , Director of Local Development Finance, UNCDF. Read the outcomes of the 2018 UCLG World Council here.